Sleek design combined with high-end technology brings a long overdue communication breakthrough to the conference room and collects prestigious design awards along the way, including IDEA in the US and G-Mark in Japan. “Highfive represents everything that we strive for in design. It solves a major problem, it’s a joy to use, it’s well made, and it looks strikingly contemporary. It’s an added bonus when design helps to bring people together as this one does." 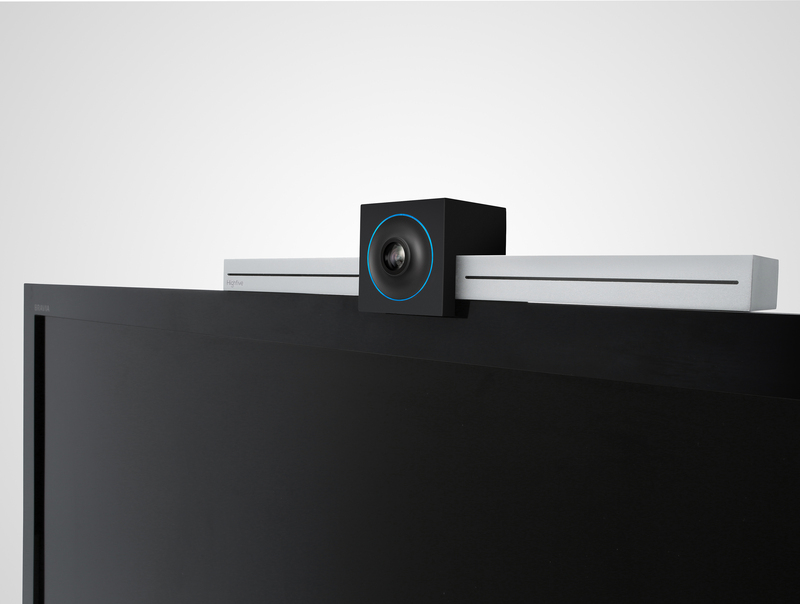 Whipsaw Inc, the Silicon Valley-based Industrial Design and Engineering firm that creates innovative products for companies around the globe, joins its client Highfive in announcing the launch of their revolutionary all-in-one video conferencing device that brings a breath of fresh air to the world of business communications. With a bold vision to help co-workers connect more easily through video and grow closer as a team, Highfive enlisted Whipsaw as their industrial design partner to create a brilliant device that combines high quality audio, video, and fast screen sharing, with functional and aesthetic design as well as an unprecedented ease of use. Eliminating outdated, cumbersome and disappointing video conferencing technologies, simply walk into the room and use your laptop, tablet or smartphone to use the device. Highfive is offered at an incredibly affordable price so companies can ensure availability to their teams everywhere. “We think it’s the first major technology breakthrough for the conference room since the speakerphone,” states Shan Sinha, co-founder and CEO of Highfive. Highfive reflects a new paradigm in the way we communicate at work, in its powerful function as well as its minimalistic aesthetic appearance and its precision-machined aluminum housing. Whipsaw and Highfive already won several prestigious product design awards including IDSA’s International Design Excellence Awards (IDEA) in the US, and the Good Design Awards (G-Mark) in Japan. “Highfive represents everything that we strive for in design. It solves a major problem, it’s a joy to use, it’s well made, and it looks strikingly contemporary. It’s an added bonus when design helps to bring people together as this one does,” said Dan Harden, CEO and Principal Designer of Whipsaw. Whipsaw is an Industrial Design and Engineering consulting firm located in the heart of Silicon Valley, California. Whipsaw creates highly successful products in the consumer electronic, housewares, medical, and business product categories for clients Avaya, Cisco, Dell, Dropcam, Eton, GE, Google, Haier, Intel, Leitz, Livescribe, Merck, Nike, Olympus, Samsung, SunPower, TP-Link and many start-ups. Whipsaw has been widely published, won over 180 Industrial Design Awards, and has creations in the Smithsonian Institution Cooper Hewitt Design Museum, the Chicago Athenaeum Museum of Architecture and Design, and the Pasadena Museum of California Art. For more info visit http://www.whipsaw.com. 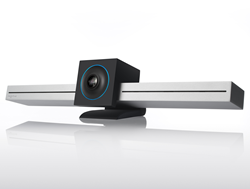 Highfive is a fast growing technology company that makes beautiful, simple video conferencing hardware and software. 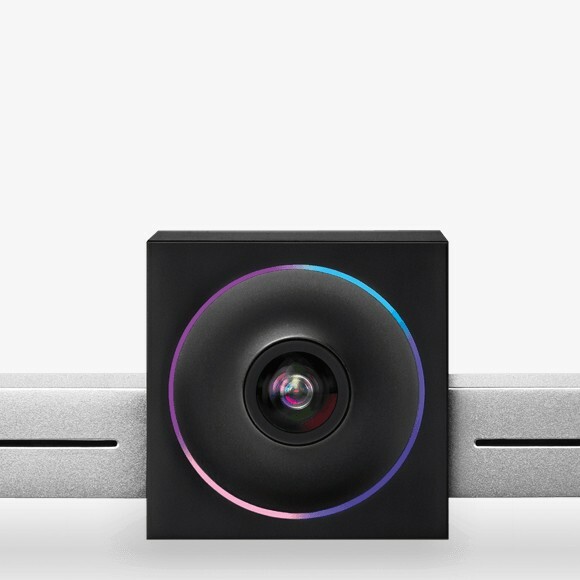 Highfive’s flagship product is an all-in-one video hardware device, which delivers high quality enterprise video conferencing to any size conference room at 1/20th the cost of traditional products. Highfive also provides a cloud service, which gives customers the ability to make one-click video calls from their laptops, tablets, and mobile devices. Highfive is based in Redwood City, CA. For more info visit https://highfive.com.